Here at Generator Pro, we offer a comprehensive range of generators covering everything from portable generators to diesel generators and much more. All of the generators we have for sale are from well-known industry brands and are designed to provide a reliable power supply. We have been supplying generators to both individuals and commercial customers throughout the UK for a number of years. At Generator Pro, we make it easy for our customers to buy generators and that’s one of the reasons we offer both a price match promise and free delivery. We specialise in new generators and our expert team are always on hand to assist and answer questions about our generators for sale. The ZI-STE 950 of the Austrian company Zipper is already affordable for people on a budget. Nevertheless, it provides a good performance, working solid and easy to operate. 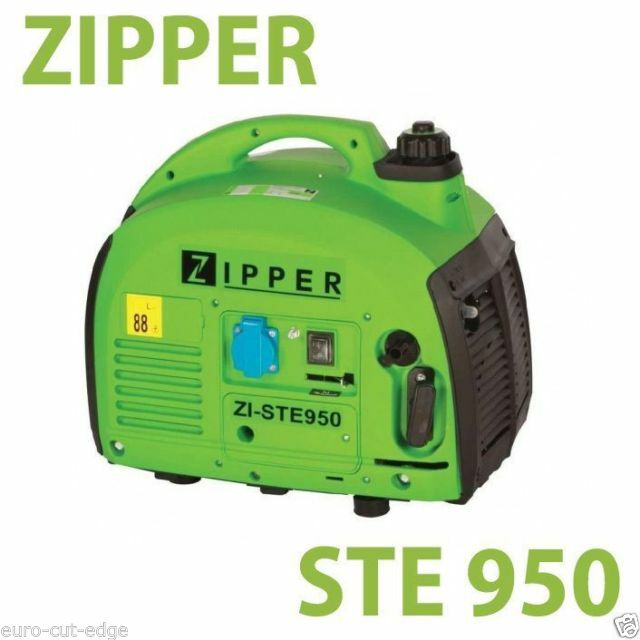 The Zipper ZI-STE950 is a great compact generator that is easy to use and move around. 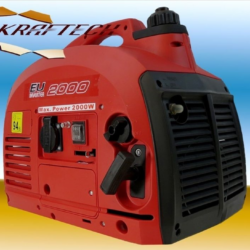 Featuring a single cylinder 2 hp engine, the ZI-STE950 is capable of producing 700 watts of power. Equipped with one 230V socket. The light weight of 18kg, Convenient transportation because of light weight, Easy handling. Simply place it in the back of your car to go camping or place it in your shed to use as emergency backup power whenever the electricity goes out. No matter what way you look at it, the ZI-STE950 is a splendid compact generator for light use. 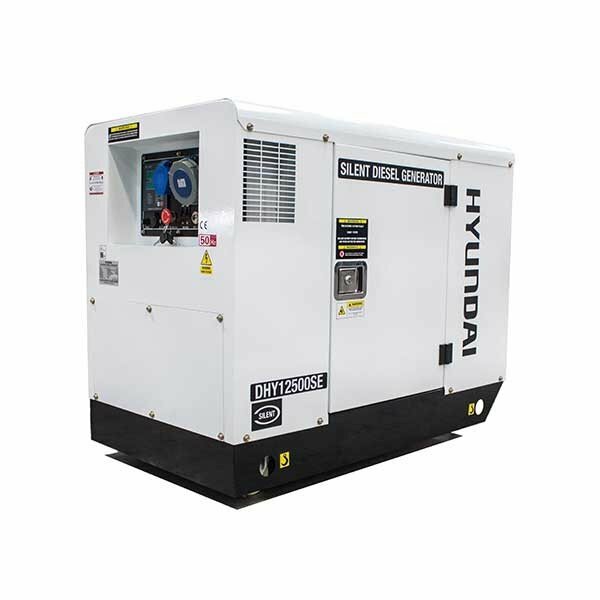 As one of the top sellers in the diesel generator market, the Hyundai DHY6000SE produces a clean and smooth maximum output of 6kVA. The ATS functionality allows you to connect the DHY6000SE to an automatic transfer switch so you retain power in the event your mains fail. The Hyundai DHY12500SE diesel generator creates 10kW of clean power via the equipped V-twin 3000rpm engine. Designed to be a stationary standby unit, the DHY12500SE embodies a large 60 litre fuel tank to guarantee that it will days on one tank of fuel. 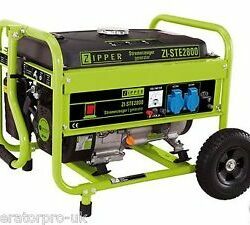 Extremely powerful and reliable, this is a great generator for home owners and business owners to use as a standby. 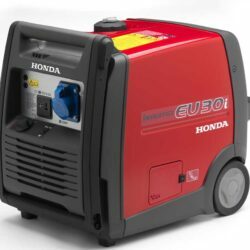 We have a great range of generators for sale and our generators are suitable for everything from camping to welding and much more. Understanding the type of generator you need is difficult and that’s why we are always on hand to provide support. As one of the leading generator suppliers in the UK, we have developed a well-known reputation for the quality of the generators we supply. When it comes to needing a new generator for your property or business, be sure to buy from Generator Pro. Having been selling generators for a number of years, we have honed our range to ensure it best meets our customers’ requirements. We cater for all markets and our range of generators are capable of powering everything from your home to industrial equipment. We offer a price match promise, so when you buy a generator from Generator Pro, you’re guaranteed to receive the best possible price. With free delivery on all of the generators we have available for sale, you don’t need to worry about any unexpected costs. Not sure where to start? Try our First Time Buyers Tool! The Honda EU65is is will power your large camping equipment, heavy industrial tools, and home with ease. 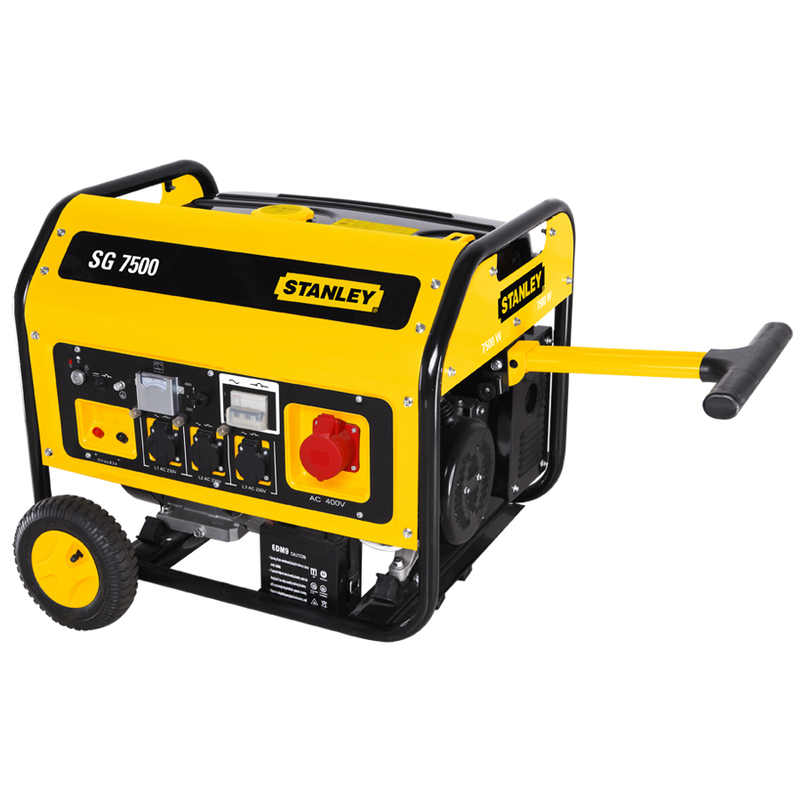 Weighing just 18kg, the SK2000 is an excellent generator that you can take with you on all types of jobs and trips. The Swiss Kraft SK2000 does it all for you. The 1500w continuous output lets you run small to medium appliances. The noise level is very low. You need not worry about running the SK2000 in your neighborhood! Weight is very light, only 18 KG, so not a big hassle even for not-such-strong people! 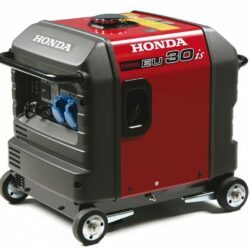 All of the generators we have available for sale, are from big name brands such as Honda. At Generator Pro, we only offer high quality generators to ensure our customers purchase only reliable and long lasting generators. 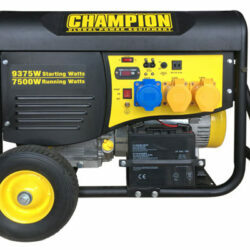 No matter what type of generator you might want to buy, we have you covered at Generator Pro. The most common type of generators for sale are back up power generators; all of which are available to buy directly through out website. When purchasing a generator, you need to take into consideration what you might be using it, to ensure your new generator is capable of handling the power consumption. See our blog for the latest news, updates and offers. We regularly post about current industry topics and helpful information relating to generators. Great community supporters. Fantastic service. Top notch products. Thank you for helping out with some of our events! Prompt and Reliable service from entire Generator Pro staff. I highly recommend this company. Prompt, professional service at a more than fair price!! Thank you Doug, Michelle, Rick and Noah for your exceptional service!! In October of 2017 I had a Kohler whole house generator installed by Generator Pro and I could not have been more impressed. Doug and his whole staff and crew did a great job - from the phone call inquiring about a generator to the installation. Prompt, professional, knowledgeable, neat - every step of the way was great. My only regret was not having it done sooner because the week prior to my scheduled installation a major storm downed lines and I lost power for a few days. Don't wait - call Generator Pro! 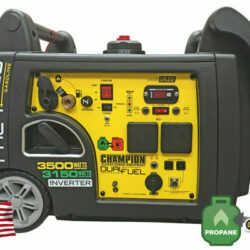 I tried to get service done for my 10k generator and they quoted me a price of $250 for an oil change! I made an appointment for service and they never showed up or called to let me know what was going on...but sent a bill anyways...I called and told them they never showed up so I asked if they would sell a maintenance kit for the unit...they said they would call back and never did.This place is a con job...do not use them but seek an alternate service for your generator or go online and it will tell and show you how to do the maintenance yourself..so simple any moron can do it and save themselves big bucks!! Great experience. Doug came out I liked the options he gave me and went with a portable generator. I've used it about 30-40 hours so far with no issue. I'll definitely have him come back at some point and do a on demand one. If I had the cash in Oct 2016 I would of done it then I guess. I've also recommended him to a few people. Had a wonderful experience from estimate to completion of installation of our whole-home generator. Michelle and Doug are amazing to work with, keeping us up to date through the whole process. I would recommend this company to everyone I know.We had contacted other generator companies prior to Generator Pro, and were constantly disappointed by lack of communication and difficulty in even scheduling an estimate. We were SO GLAD to find and work with Generator Pro and their entire staff. Their commitment to customer service ensures that all clients have an amazing experience working with them. Thanks to Doug, Michelle, and their team! Professional, streamlined generator installation from start to finish. Doug took the time to explain each step of the process, answered our questions honestly, and made everything easy for us by scheduling everything at our convenience. Choosing Generator Pro to will be the first step towards a pain-free generator installation. This company is clearly successful because of their outstanding service. Highly recommended! My 10kw has been a problem since the day it was badly installed by another company (NOT Generator Pro). 3 other places tried to fix it, all failed. Generator Pro came out, and in an afternoon had everything diagnosed, ordered the part, and installed it. It's now running perfectly after 6 years of real issues. I finally have the generator I paid for. Reasonable rates, HIGHLY knowledgeable staff, easy to deal with front office. I couldn't ask for anything more from a service company. I won't ever let anyone else touch my generator. Doug has done great work from start to finish and every detailed step along the way. I have recommended his service to family members. Thank you Doug. A very professional organization with high quality products. We purchase all of our powerwashers from Doug. They hold up well and it's nice to know that if they ever need service Doug is right there to take care of it. The service at Generator Pro is the best in town. Their honesty and commitment to quality is number one. I trust Generator Pro to always get the job done the right way the first time. Gavin Remodeling, Inc. purchased a pressure washer from Doug at Generator Pro to wash our field equipment. He was professional and great to work with. We continued to received terrific customer service when that same pressure washer also needed a repair. Thanks to our enjoyable experience, we refer all our customers needing a generator or other similar products to Doug at Generator Pro.